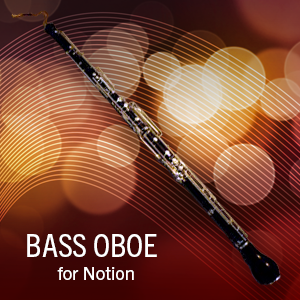 Extend the tonal range of your oboe section with Notion’s new Bass Oboe expansion pack. A similar timbre to the cor anglais (English horn) but with a deep, full tone, the bass oboe is twice the size of a normal oboe and sounds an octave lower. 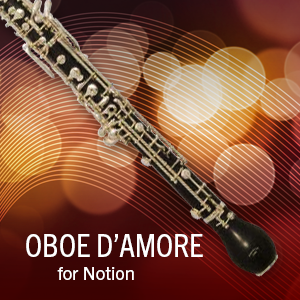 Extend the tonal range of your oboe section with Notion’s new Oboe d’amore expansion pack. A similar timbre to the oboe but more tranquil and less penetrating, the oboe d’amore is pitched between the oboe and cor anglais (English horn). The ultimate songwriter's haven. 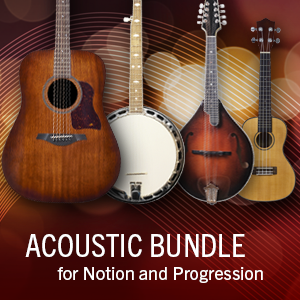 Complete your folk quintet with this outstanding bundle! All you need now is a bass player and you are ready to hit the road! 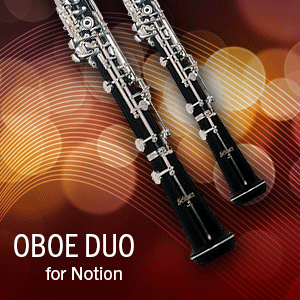 These oboes cry for attention. Together they produce a very distinct quality that softens the oboe in a chorus of doubling. 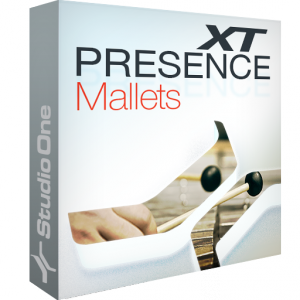 They are realistic and smooth, and add real double-reed depth to your orchestrations.